Working worldwide to protect whales and dolphins and the places they live. WDC has thirty years' experience funding vital conservation, education and research projects around the globe. Wherever possible, we work with local communities and a guiding principle of any research is that techniques used must be as uninvasive as possible for the species involved. WDC's research provides vital information that is used to support efforts to provide better protection for these dolphins and their home. WDC’s research has already led to a proposal to create a marine protected area in the waters where these dolphins live. WDC is supporting the campaign to protect one of the world’s most endangered whales. Around 400 whales survive. Our Adopt a humpback whale programme helps to support our work to protect the whales which return each spring to feed. North Atlantic right whales - WDC successfully campaigned to get a speed reduction enforced to reduce the threat of ship collisions with whales. Risso’s Dolphins - Thanks to WDC’s research and campaigning, the Scottish Government has put forward proposals to create a marine protected area where these dolphins are found. Orcas - Thanks to the efforts of FEROP, it has become increasingly hard for marine parks to replenish their tanks with orcas taken from the wild off the coast of Russia. Our Adopt a dolphin programme in Australia is helping to protect this group of dolphins which, unusually, is living in an urban environment. In a world where technology is advancing in leaps and bounds, WDC is committed to putting the welfare of whales, dolphins and porpoises first and this means doing just that in the field as well as in the corridors of power. There are a variety of tools available to help us understand whales, dolphins and porpoises better and these range in degrees, from relatively benign to highly invasive, for example attaching a satellite tag to a dolphin by drilling holes through the dorsal fin. Whilst recognising that some degree of disturbance is implicit in most research methodologies (except land-based research), and that very few methods are truly benign in the sense that they do not, to some extent, alter or influence the system under measurement, WDC strives to ensure that non-invasive research methods are promoted as a guiding principle, both for the organisation and the researchers that we fund. Because of this, WDC created an annual Award to help showcase non-invasive research methodologies with up to £5,000 available to the most innovative project. 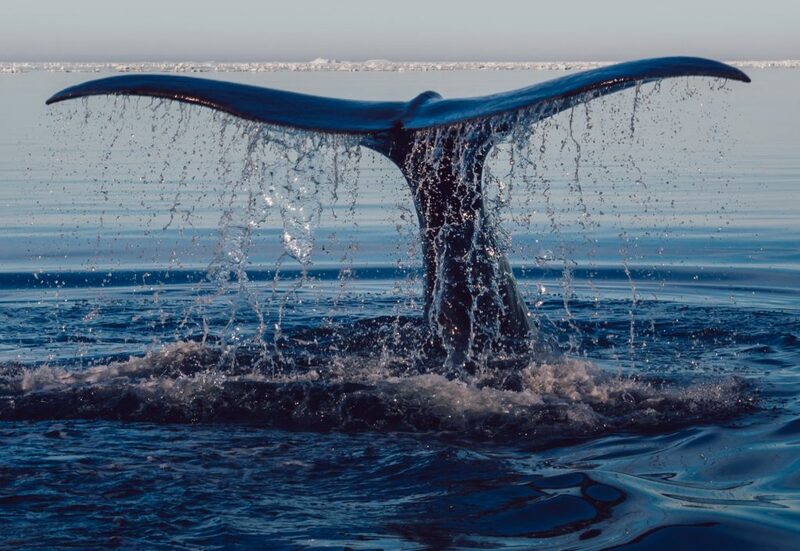 The only restrictions are that the project must utilise non-invasive techniques with the aim of benefitting the conservation management or welfare of whales, dolphins or porpoises. These methods often enable a more complete picture of whale and dolphin life cycles, interactions and habitat use. Such techniques can be significantly geeky and innovative but must produce reliable science that can be used to make a real difference for species and population conservation and for individual protection. Through the Award, WDC is keen to highlight the fact that many of these ‘hands-off’ methods provide scientific data of excellent quality, whilst also promoting the development of innovative and non-invasive approaches. 2013 – Samanunu Simpson, Fiji; Acoustic monitoring of a pod of resident spinner dolphins in a Marine Protected Area. 2014 – Sannie Brum, Brazil; Investigating fisheries co-management as a tool to protect Amazon river dolphins. 2015 – Dr. Lindsay Porter, Malaysian Borneo; Assessment of the status of tropical dephinids in the Kinabatangan RAMSAR site and adjacent areas. 2016 - Dr Marie van Bressem, West Africa; Visual health assessment of cetaceans from West Africa. Anna Breuniche-Olsen, Mexico; Inferring gray whale population characteristics from environmental DNA in seawater. Shambhu Paudel, Nepal; Using photo-id to understand population size, geographic range and social structure in endangered Ganges river dolphins in Nepal. 2018 – Barbara Galletti, Chile; Using passive acoustic monitoring to find and protect critically endangered eastern south Pacific southern right whales. Your support helps us take action to protect their homes.